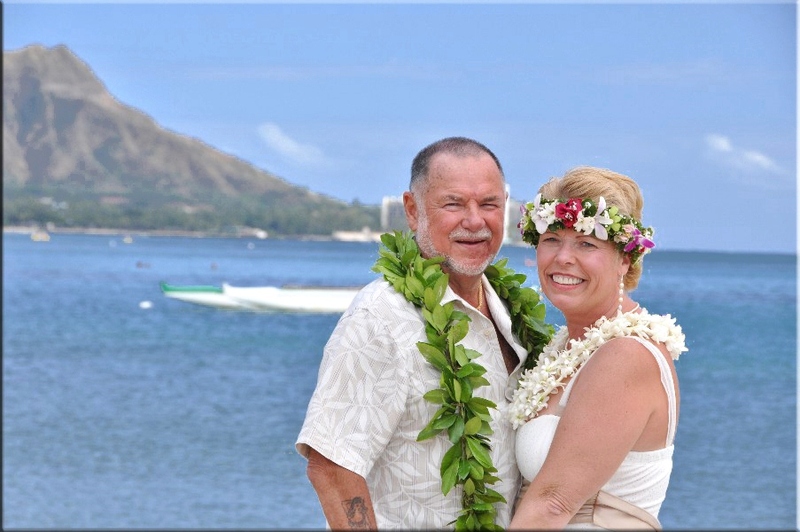 Wedding photos taken by Robert Hamilton at Waikiki Beach. 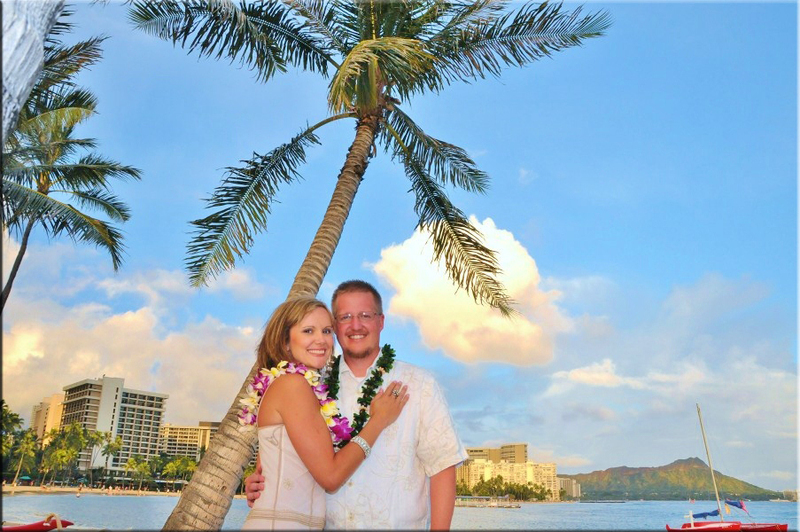 This beach is located near the hotels of Waikiki and is a great location for sunset beach weddings near HILTON HAWAIIAN VILLAGE. Click any photo to see more pics of your favorite wedding couple. Waikiki is a great place for a Wedding on the Beach, especially at sunset time when it's not too hot or bright on the eyes and the sunbathers begin to return to their hotels for dinner. 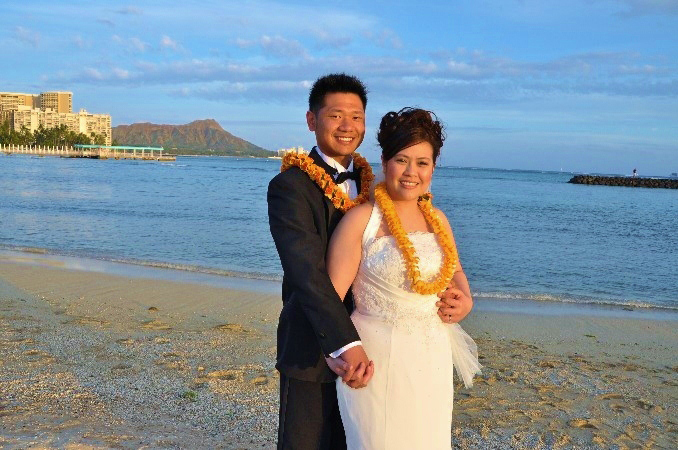 Our Simple Hawaiian Wedding (Only $399.00) at Waikiki Beach is the way to go for couples wanting to get married in Honolulu and bring home beautiful photos to share with the family back home. 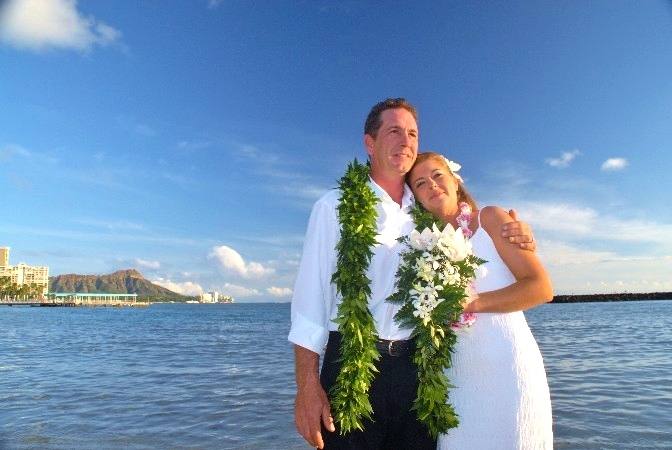 Email us or visit WEDDING RESERVATIONS to reserve your Wedding at Waikiki Beach.